A modern luxury footwear brand inspired by skate and street culture, where timeless silhouettes are reinterpreted and refined through old world hand craftsmanship while using only the highest quality materials, Rone is crafted for a nostalgic and cultured individual. As a well-respected professional skateboarder known for his understated and classic style, Tony Ferguson has traveled the world for decades, cultivating a unique understanding of products and aesthetics. Tony has built on this experience and knowledge in developing Rone, sophisticated footwear for a life well lived. Head off to a foreign land to shoot red-hot skate action with the adidas Canada team? Don’t mind if I do. I tough out the overseas flight, dab the tears from my eyes repeatedly (what is it about movies on airplanes? ), literally sprint through London Heathrow and make my flight to Spain minutes before departure. I am drenched in sweat and panting, but on time. I feel like I forgot something though... oh yeah, I forgot to learn Spanish. But thankfully, there is Kevin Lowry upon my arrival in Valencia, ready to take a bag off my shoulder, teach me some key Spanish phrases I will forget immediately, and guide us back to the apartment in the city. 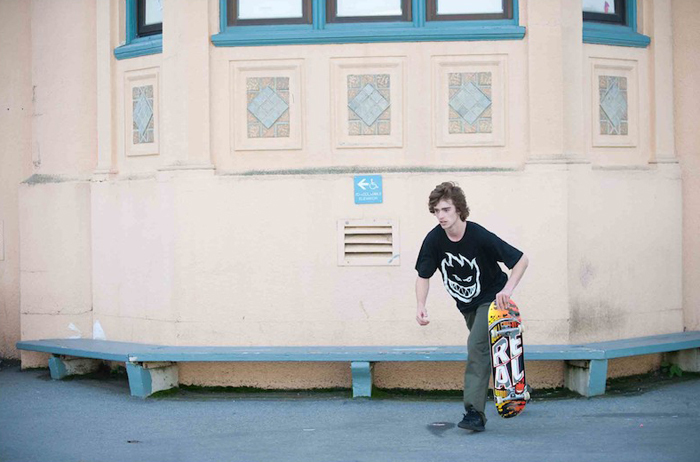 As much as we Canadians get ripped on for an unfortunate yet funny history of tall tees in skateboarding, we have managed to give the world some pretty classically trained-and-styled skateboarders as well. Somewhere near the top of that list that we should one day compile is Tony Ferguson. Always one to come through with just the right amount of footage and photos, Tony brought an original approach to skating, pursuing a unique selection of tricks and leaving behind a career that others could take note from. We caught up with Tony to talk about the collaboration between Girl, Alife, and Budweiser, as well as the upcoming “20 Years of Chocolate” events in Canada. Antoine Asselin has been on fire for years, merging technical consistency with a distinctive and aggressive style. We’ve known about him for years in Canada and he’s garnered plenty of attention south of the border as well, thanks to his long association with Real and the rest of the Deluxe crew. But more recently, with the increasing visibility of Dime through their apparel offerings and videos, we’re getting to see more of the true Antoine, and the Montreal scene for that matter. Taking the type of jokes you toss around with friends during and after a session, but following through with them to create hilarious videos, Dime brings that perfect mix of humour and style, which is a reflection of Antoine himself. We thought it best to catch up with him before Dime gets so big that he and the rest of the guys start screening our calls. If you’re a kid growing up with aspirations of becoming a pro skateboarder, I would like to point at Russ Milligan as someone you should take notes from. I’m can’t think of many other skateboarders that have consistently put out so many good video parts and photos, all while staying humble and seemingly well-liked by all. Before talking to Russ, I went on a binge of watching his video parts, and in the following days I would keep thinking of or hearing about more of his parts that I forgot to watch. A bunch of them are linked in this interview, but there are even more if you dig around the internet or your VHS and DVD collections. With Russ recently moving back to Canada, we figured it would be a good time to have him reflect back on his career to date and give some insight into what his future might hold. Spring is just around the corner here in Canada, and with the turn in weather you may find yourself wanting to start the season fresh with a new complete skateboard. Maybe it’ll even be your first board, and you’ve been thinking about what to get all winter. Regardless, we have put together this piece on how to choose a skateboard, how to assemble it, and what to note when riding it. First thing is first. If you live in a city or town that has a locally owned shop, we suggest going there to purchase your board. 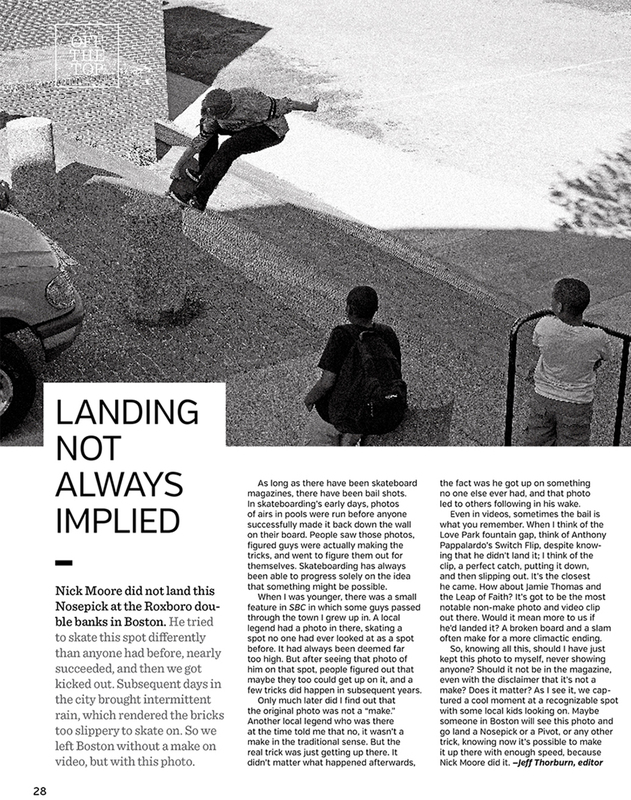 The strongest skateboard scenes tend to be direct results of shops that work hard for their community. 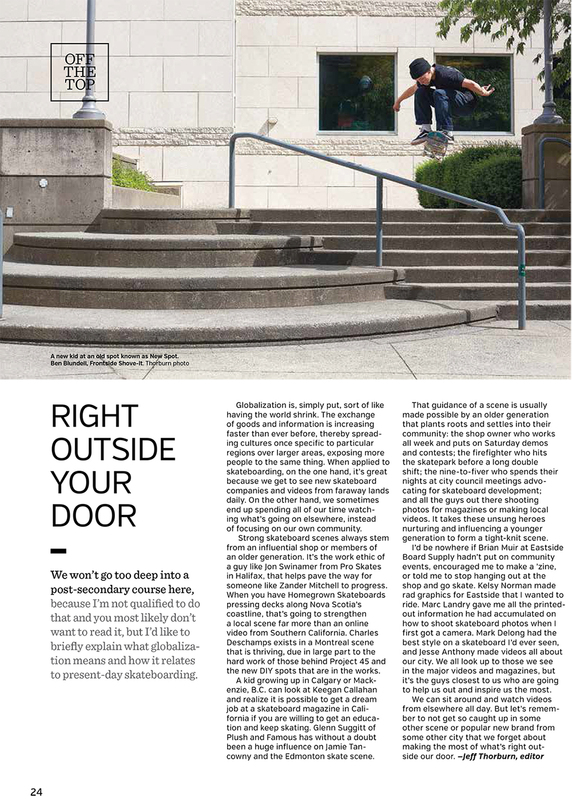 Your local shop is typically going to be run by people that lobby city council for skateparks, put on contests and demos, make local videos, support up and coming skateboarders, along with all the other stuff that gets you stoked. Support them whenever possible, and you will reap the rewards. 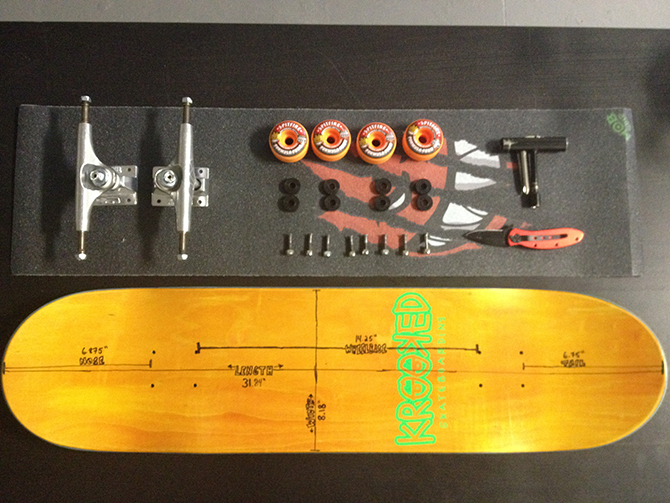 Details on how to assemble that radical new spring skateboard you picked out. Don't have all the stuff yet? 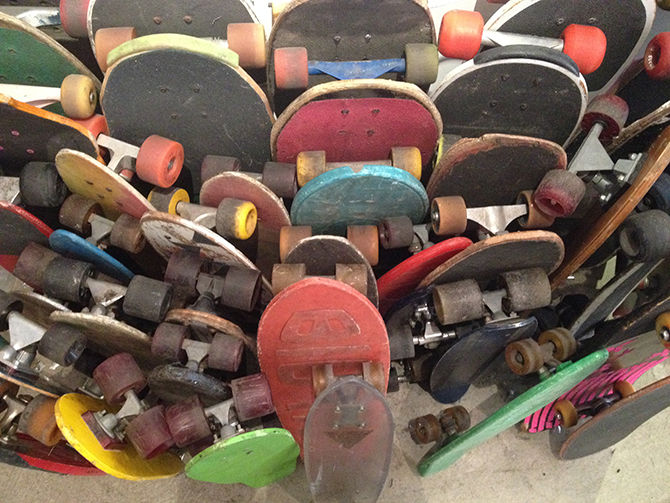 Check out our previous post on "How To Choose A Skateboard". Imagine you are on a summer vacation with your family, maybe on the east coast of Nova Scotia. You visit Halifax, walking the hills, touring the Commons. Following the coastline, you visit Peggy’s Cove, taking in its rugged beauty. Carrying on, you pass through Lunenburg, birthplace of the Bluenose, which you’d recognize from the backside of a dime. 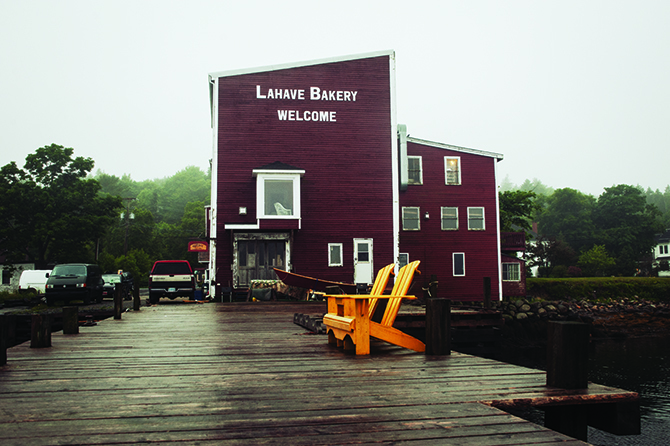 A little while later, you might stop into the quaint town of Lahave for lunch at a bakery, housed inside an old warehouse at the waters edge. While your parents take in the view with lunch, you are drawn upstairs from the bakery by familiar noises. Once up there, you are confronted with an operation you’d have never expected on this family vacation to “Canada’s Ocean Playground.” Skateboards are being pressed, graphics are being screened, and people are skating a bowl. 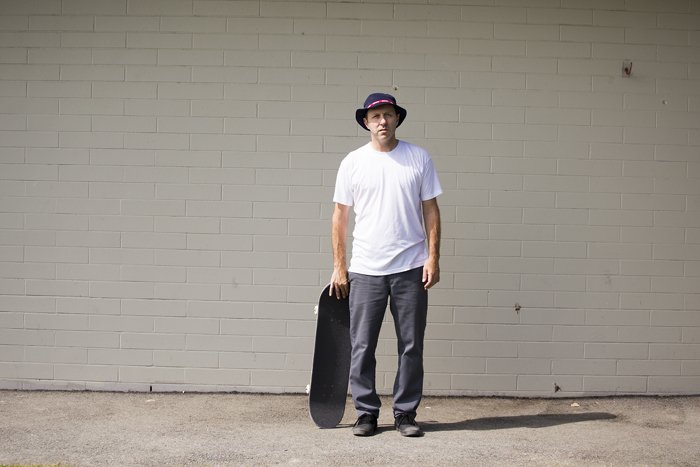 You’ve just walked into Homegrown Skateboards headquarters, and now you are about to meet Jesse Watson, the founder. Ten years ago, Antihero released Tent City, a video chronicling a four-week tour across Australia. 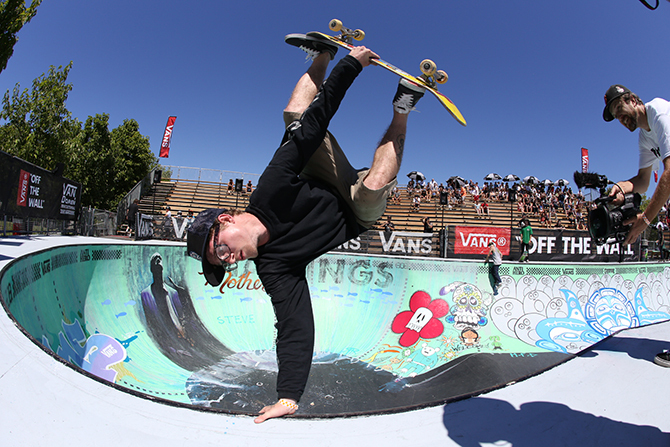 Unlike most contemporary skateboard videos, Tent City sways between full-on skate action and quiet moments in between. 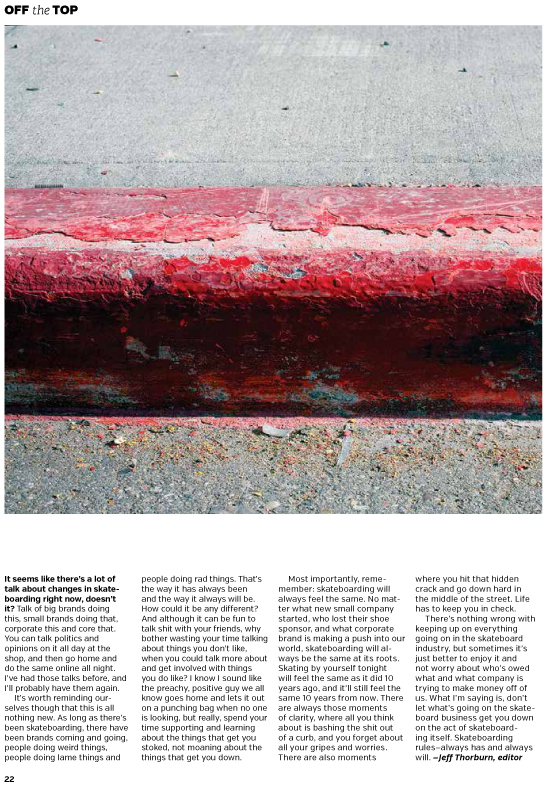 The skateboarders in the video champion going out into the world head-on, and accepting what comes your way. 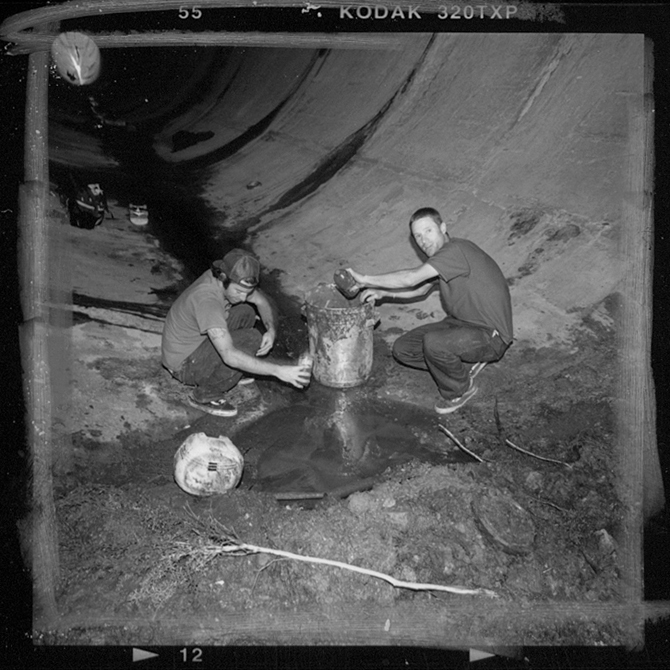 With the Tent City video being rereleased on iTunes, with added features, we sat down with the man behind Antihero, Julien Stranger, to reflect back on that fateful trip. "It’s likely that most of you are aware of Thomas Campbell in some capacity. 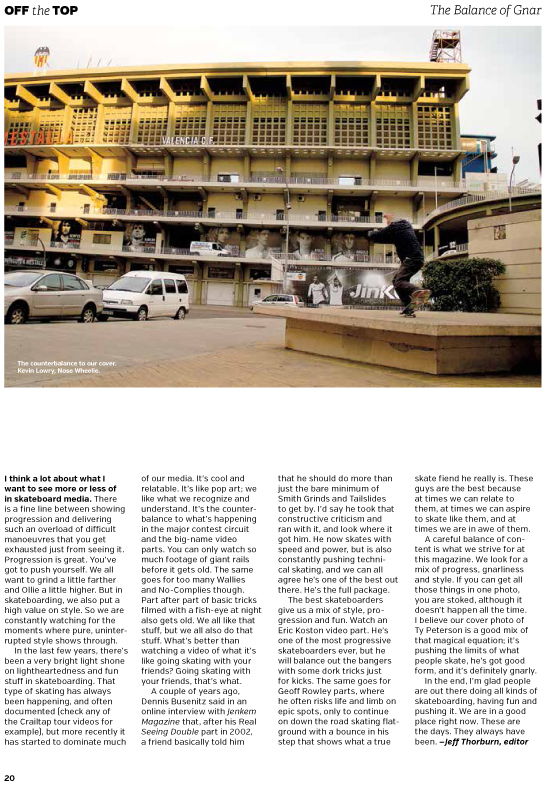 You might know his skate photography; his photo of Adrian Lopez jumping from one circular roof to another in Hong Kong comes to mind. You might know his artwork, which stands out on the walls of skateshops and in renowned art galleries all over the world. Maybe you know his surf films; even if you don’t surf, Sprout might strike a cord with you. So, this is all to say that Thomas Campbell is a gifted and hardworking artist, who has left and continues to leave a lasting mark on skateboard culture. Shot entirely on 16mm film, with a helping hand from “French” Fred Mortagne, Cuatro Suenoes Pequenos (Four Small Dreams) is Thomas’ latest contribution in in skateboard documentation. The film follows Javier Mendizabal to bed with a beautiful brunette, and then into his dreams, where he runs into Madars Apse. 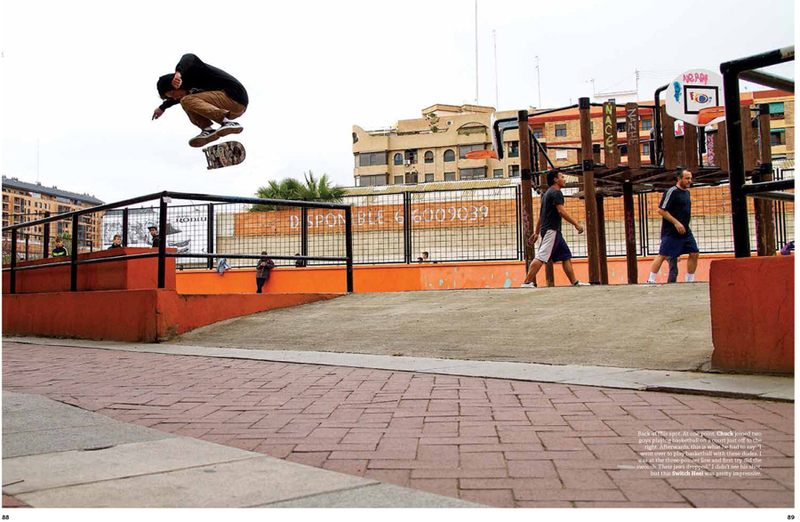 The pair skated through forests, across volcanoes, down narrow Spanish streets, around busy plazas, and into the ocean. 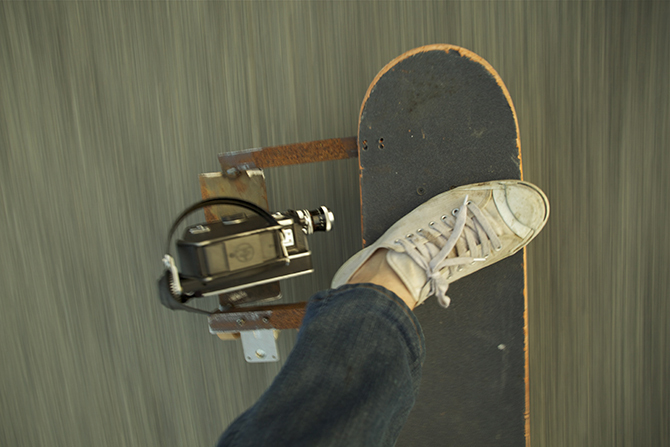 It’s a drastic and welcome change of pace from about any other skateboard video you’ve ever seen. We spoke to Thomas from his home in Bonny Doon, California, to hear about the process involved in this film, who and what excite him about skateboarding right now, and a whole lot more." 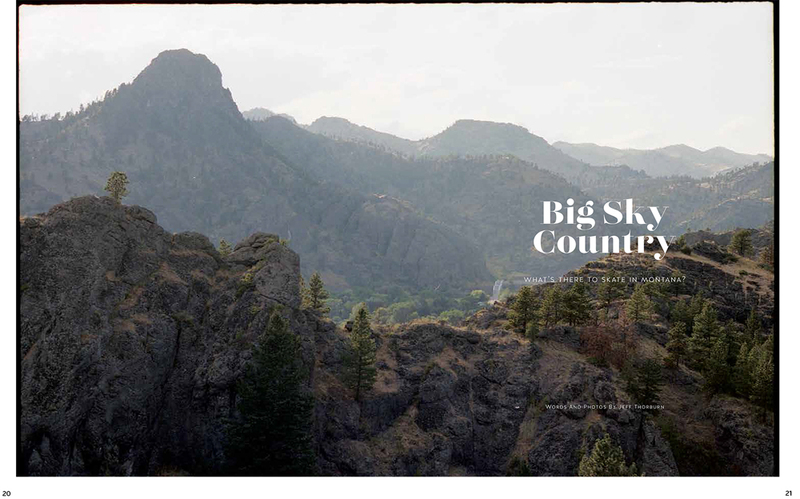 When the guys from The Source in Calgary approached me about a trip to Montreal this past summer, I countered with, “How about Montana instead?” Positive we’d see some great sights, and optimistic we’d find good spots to skate, we pointed it south on the open road with no agenda other than to poke around small towns and see what came of it. It turned out that every town we visited, small or smaller, had something of interest. Locals and police were always friendly and, in fact, not particularly interested in anything we were doing. It was perfect.